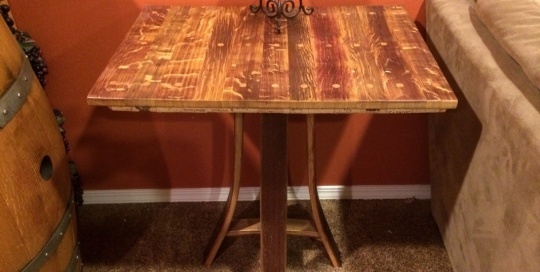 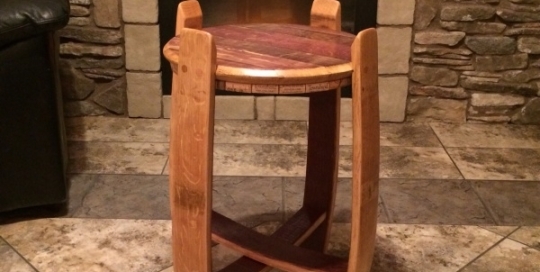 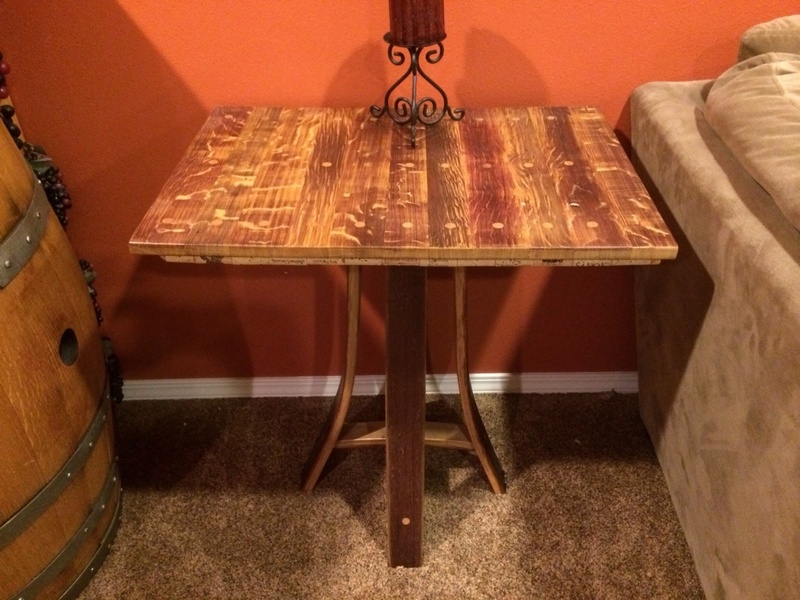 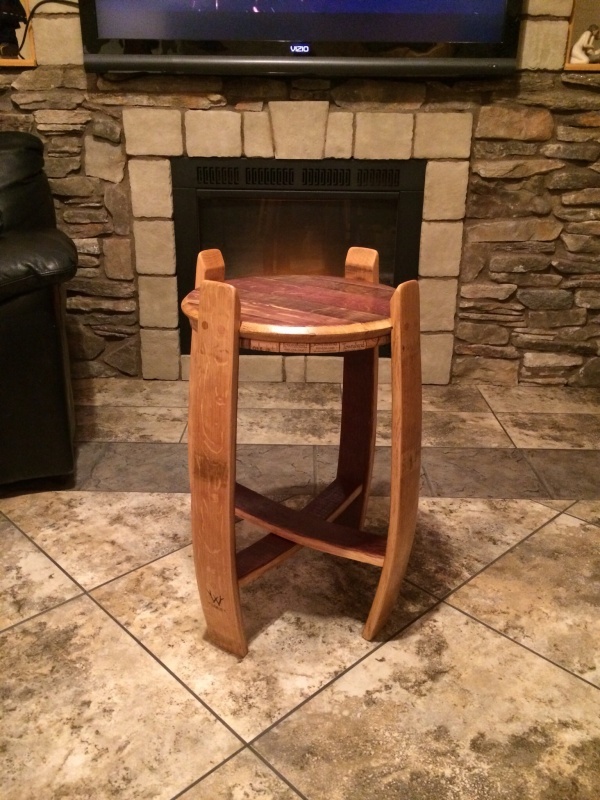 This simple yet elegant end table is made from repurposed wine barrels. 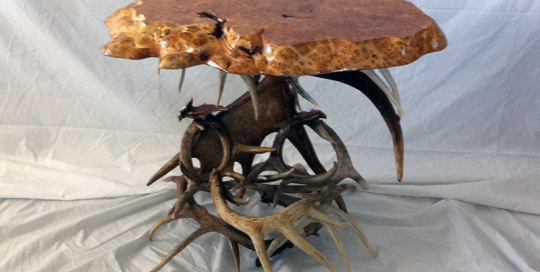 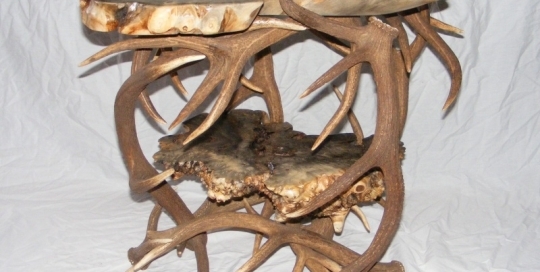 This Maple Burl end table has a sturdy base of a variety of naturally shed antlers. 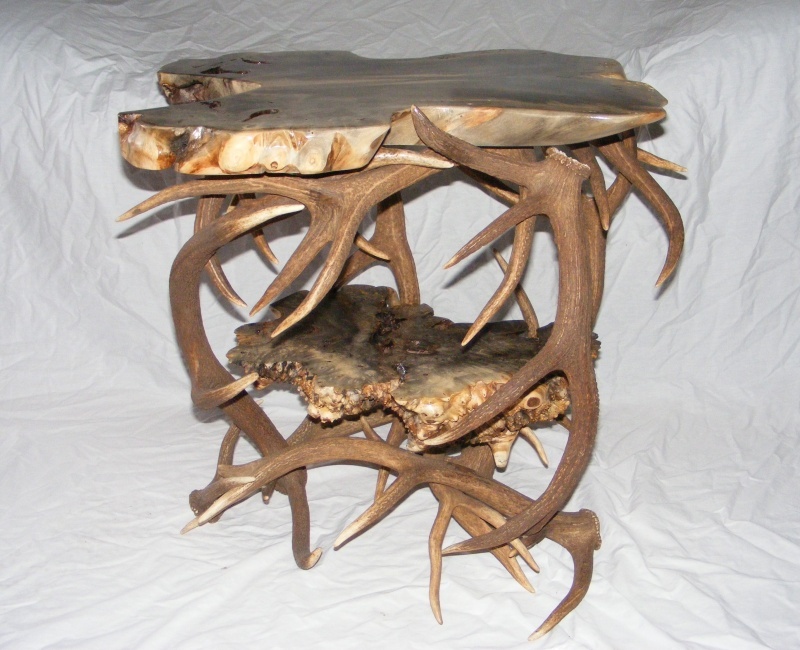 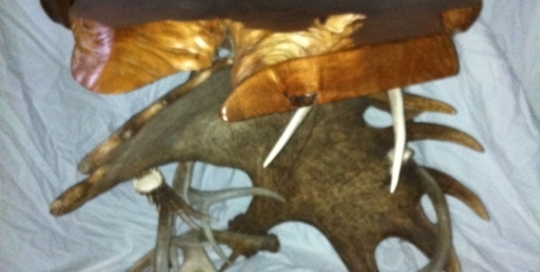 This Buckeye end table was accompanied by naturally shed Red Deer antlers. 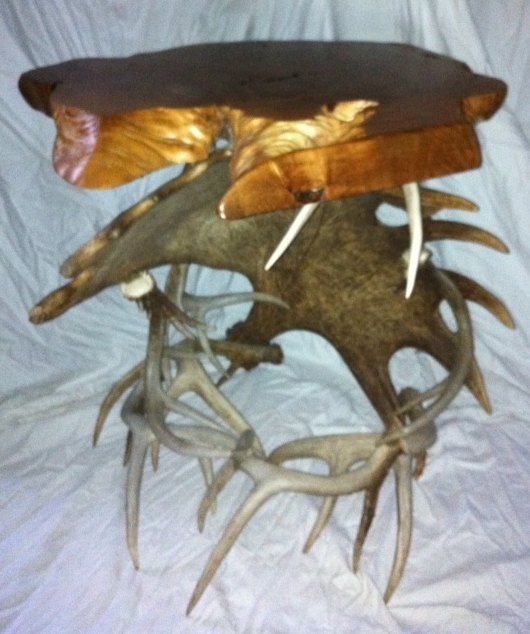 Maple Burl end table with a variety of naturally shed antlers as the base. 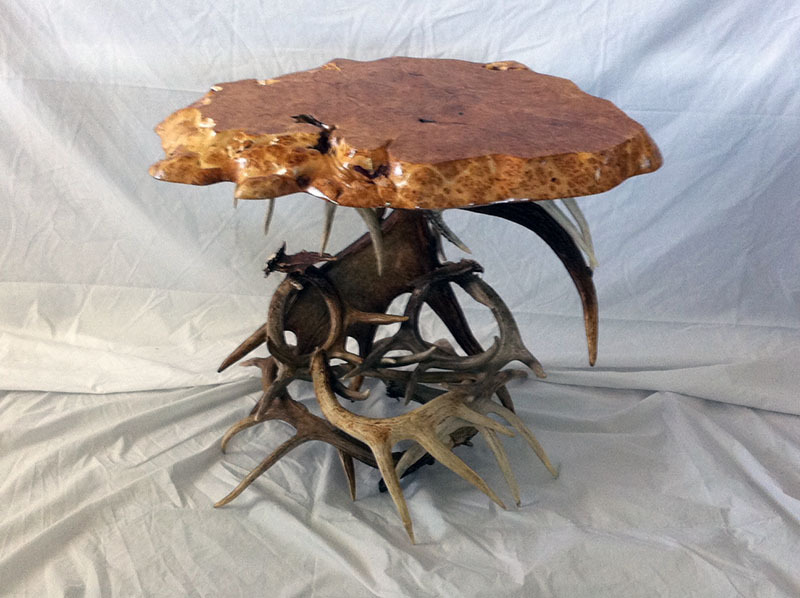 This Maple Burl end table is accompanied by a base made of naturally shed Moose and Whitetail Deer antlers.